Date: 15.03.2018 | House, Techno, Minimal | Tags: Four to the Floor, Tenor Germany, Enzo Siffredi, Tolstoi, Dj Wady, Nytron, Diva Vocal, Jonathan Ulysses | Download Four to the Floor Vol. 5 (2018) for free. 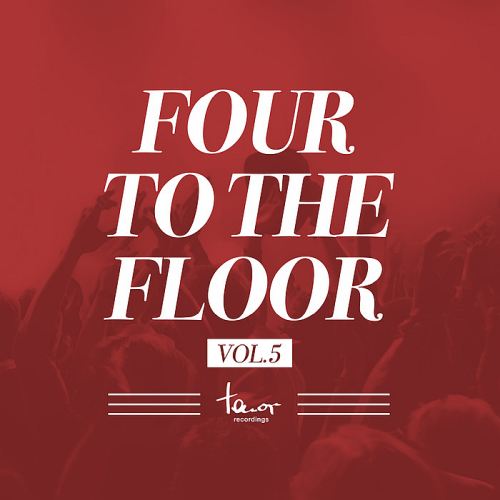 Four to the Floor Vol. 5 collection with lots of interesting tracks. DJ Wady Began his career in Colombia. He is regarded as one of the first pioneers in theColombian dance scene. He was born into a family full ofmusicians, from where he acquired his Latin flavor which heincorporates in many of his productions today. Its all going on for Sesentayuno at the moment. Having just launched the Groovers night at Smash Nightclub, the UK-based producer has now been snapped up by Art Nouveau to drop more of his groove infused underground house music. Over the last decade, Spanish born Hector Couto has established himself as a driving force on the international Tech House scene. Resulting in fresh, compelling productions that always get floors moving and, importantly, feeling.